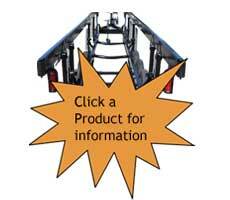 For all your Pontoon Boat Trailer Needs! Large Radial Tires on non-rust Galvanized Rims, LED lights, modern powder coat finish, the trailer frame is fully braced to handle the modern heavy pontoons, brake trailers have modern DISC Brakes and the new custom look concealed brake actuator. You can buy old fashioned trailers with incandescent lights, bias ply tires, weak frames and drum brakes on Craig’s List or E-Bay (or from some boat dealers). If you’re buying a new boat don’t put it on an old fashioned trailer with obsolete technology. You wouldn’t buy a new car with drum brakes or bias ply tires to save a hundred dollars, why do it on a new trailer? Radial tires have more rubber on the road, run cooler, carry more weight, resist weather checking (sun cracking) and last longer than bias ply tires. LED lights don’t heat up like ordinary lights. A hot incandescent tail light can shatter when submerged in cool lake water. LED lights are vastly superior and radial tires only cost a few dollars extra. 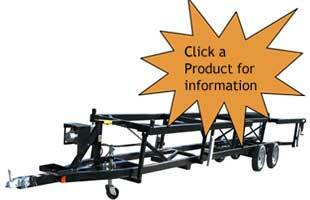 its an outrage that trailer companies are still selling new trailers with bias ply tires and incandescent lights. Modern boats are heavy, many state laws require brakes. Some manufacturers still use old fashioned drum brakes to satisfy state braking laws. We want you to be legal but more importantly, we want you to stop safely and not have your drum brakes lock up for lack of use. Disc brakes are vastly superior to drum brakes. The automotive industry hasn’t used drum brakes in years. In the next few years all boat trailers will have disc brakes, don’t buy a new pontoon trailer with old brake technology. 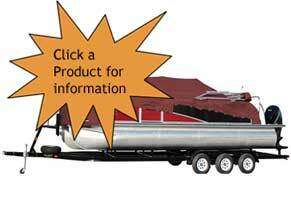 For larger-heavier pontoon boats 20’-26’ or when you just want four tires on the ground rather than only two. We may be able to arrange shipping in neighboring states with contract carriers.